Left-right (LR) asymmetry (also known as handedness and chirality) is a reserved characteristic of living organisms. The development of the vertebrate asymmetric body plan requires the emerging chiral morphogenesis of cells at specific embryonic stages, such as cardiac c-looping. We demonstrate that the cultivation of cell populations on micropatterns with defined boundaries reveals an intrinsic cell left-right asymmetry, dependent of the functional actin. To further test the possibility of utilization of cell chirality for LR asymmetry breaking, we measured the mechanical forces associated with chiral mophogenesis on 2D surfaces, and found that the forces are sufficiently large to twist a substrate of several kilopascals, which has a similar stiffness of developing embryonic tissues. To examine cell chirality in 3D, we quantified the spontaneous rotation of hollow microspheres of cells cultured between two layers of Matrigel of different concentrations, and found that the rotation is chiral in nature and consistent with the chirality of the cells on micropatterned surfaces. The newly developed systems provide quantifiable chiral measures of the cells in a 3D soft environment and are instrumental for studying LR asymmetry in development and associated birth defects. 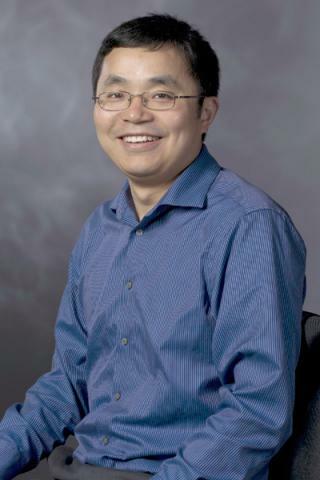 Dr. Leo Q. Wan is an assistant professor in the Department of Biomedical Engineering at the Rensselaer Polytechnic Institute in Troy, NY. His research interests focus on understanding physical biology in tissue development and regeneration, and include Tissue Morphogenesis, Stem Cell Mechanobiology, and Functional Tissue Engineering. He received his Bachelor and Master degrees in Modern Mechanics from the University of Science and Technology of China. After completing his PhD in Biomedical Engineering at Columbia University in 2007 (with Professor Van C. Mow), he became a postdoctoral scientist in the Laboratory for Stem Cells and Tissue Engineering (with Professor Gordana Vunjak-Novakovic). Leo is a Pew scholar (Class 2013), and recipient of the NIH Director’s New Innovator Award, National Science Foundation Early Career Award, American Heart Association Scientist Development Grant, and the March of Dimes Basil O’Connor Starter Scholar Research Award.